8 Reasons Twitter Still Lags Behind Facebook - trendistic.com: ever tried. ever failed. no matter. try again. fail again. fail better. Twitter‘s much-anticipated public offering is the most buzzed-about tech IPO since Facebook‘s last May. But Twitter has not reached Facebook’s level of influence just yet. In 2013 so far, Facebook’s revenue tops $5.3 billion. Twitter, in turn, generated $422 million. 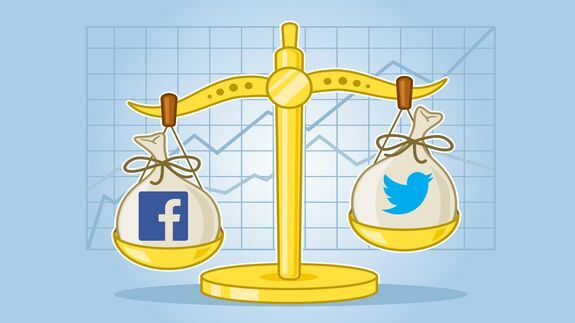 When it comes to active monthly users, Facebook’s base of almost 1.2 billion trounces Twitter’s 232 million. See also: How Much Is Twitter Worth?